Join us at a winery event. Our special events celebrate the beauty of artisanal wines and food. We also host lovely private events. Our special events are ticketed events that we offer most months, usually hosted at the winery but sometimes elsewhere. Cowgirl Creamery is one of the most highly regarded cheesemakers and advocates of artisan cheesemaking in the country. Taste through an enticing menu of fine cheeses, each exquisitely paired with Coterie wines, in a guided, seated tasting. Each reservation includes a bottle of our cheese-friendly 2017 Glenrose Vineyard Roussanne. Cancellation Policy: Tickets are non-refundable but may be transferred to another guest. We were honored to make wines with Saralee at her iconic vineyard until 2012. Now Saralee's legacy lives on for us at Catie's Corner. Join us for a vertical of Pinot Noirs from both vineyards going back 12 years, with insights from each harvest, in a guided, seated tasting. 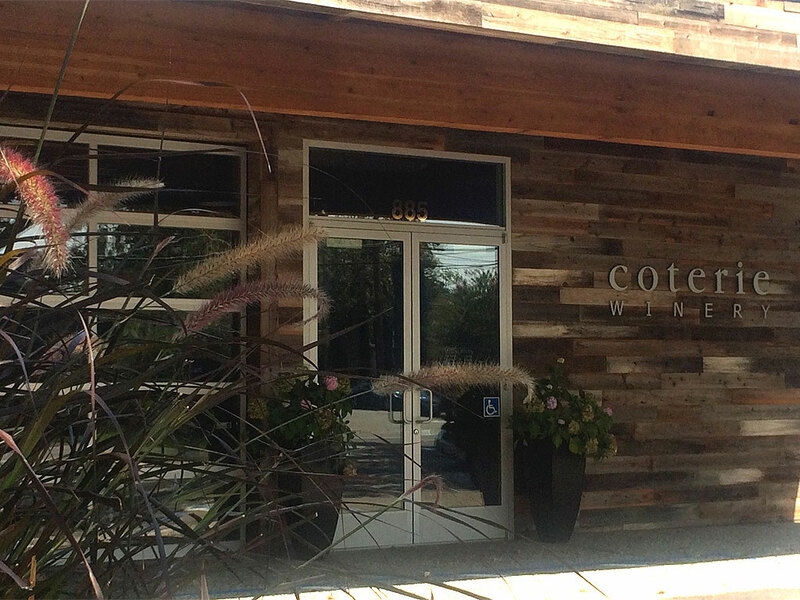 Each reservation includes a bottle of 2016 Catie's Corner Pinot Noir. 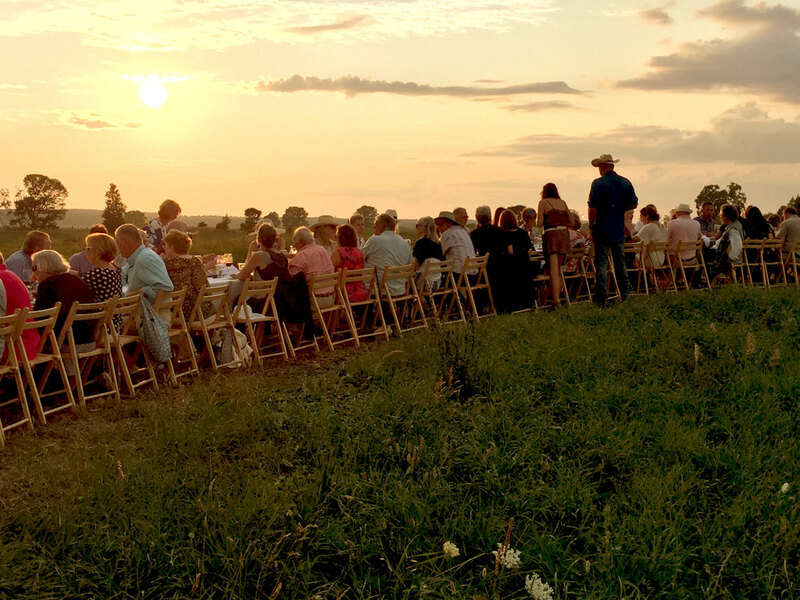 This is our tenth season with Outstanding in the Field pairing wines with incredible five-course dinners set at long, gorgeous tables across special farms and other scenic venues. 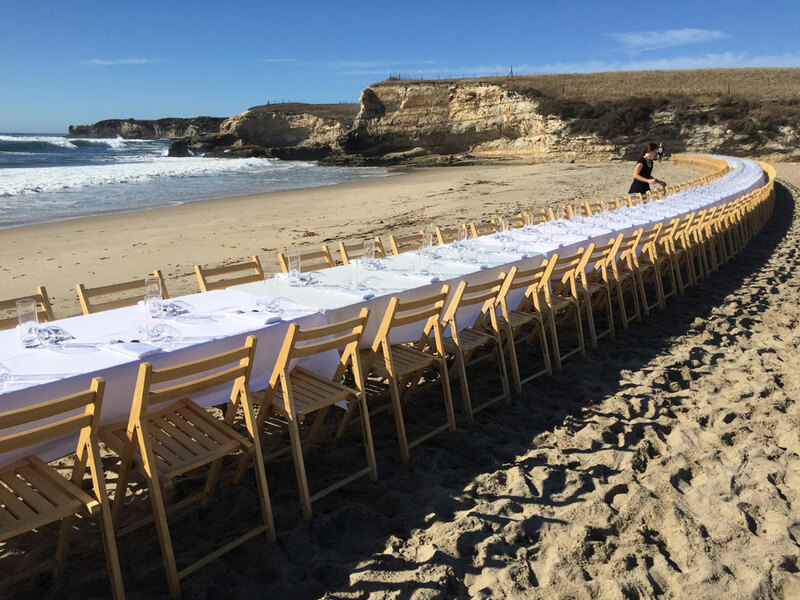 Join us for this stunning dinner at Everett Family Farm in Soquel. Because this event is not hosted by the winery, we're sorry, no member discounts are available. Cancellation Policy: Please check with the host for details about their cancellation policy. Our earliest wines, including both Pinot Noir and cool-climate Syrah, were from the Santa Lucia Highlands. Join us among our barrels to enjoy aged Pinot Noirs and Syrahs from this area spanning 10 years, with insights about what makes the area so special, in a guided, seated tasting. Each reservation includes a special bottle to be announced. 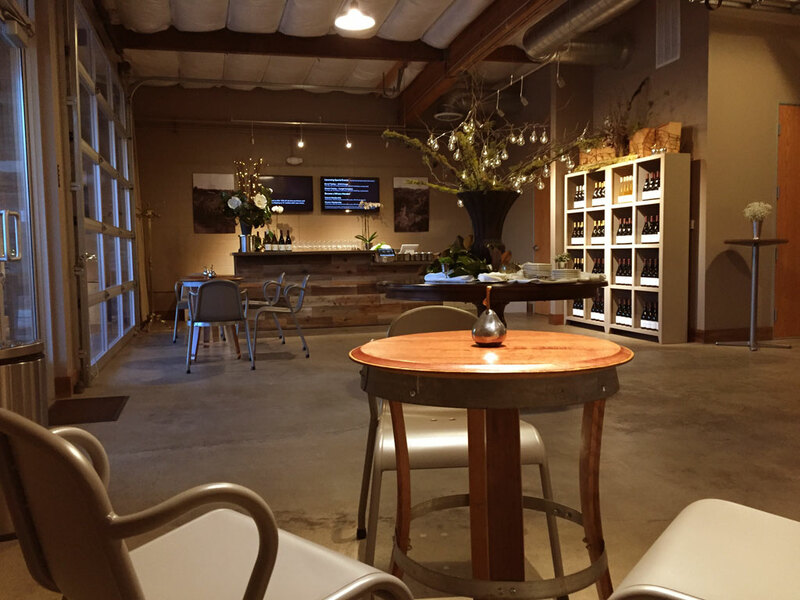 Our private events are events that we host just for your group, including wines, hors d'oeuvres, dinners, and more. This type of event features catered small plates beautifully presented and paired with a selection of four wines, including assorted charcuterie, elegant canapés, an artisanal cheese board, fruit, breads, and crackers. Warm items of meat and vegetable brochettes are available for a $10 pp supplement. The minimum charge is 10 guests for 2 hours. We accept the venue fee as a non-refundable deposit to hold your date with the finalized guest count and balance due two business days before the event. We may be able to adjust portions to fit a specific budget and are happy to try to accommodate specific menu requests. Once you are ready to reserve, we will email you an event agreement. *We may be able to adjust portions to fit a specific budget. This type of event features a selection of four wines paired with assorted charcuterie and an artisanal cheese board, fruit, bread, and crackers in tandem with a light menu, including a salad, main item, and dessert. This event is perfect for lunches, showers, and other seated celebrations. The minimum charge is 10 guests for 3 hours. We accept the venue fee as a non-refundable deposit to hold your date with the finalized guest count and balance due five business days before the event. We may be able to adjust portions or menu to fit a specific budget and are happy to try to accommodate specific menu requests. Once you are ready to reserve, we will email you an event agreement. *Menu selections may vary by the season. This type of event features a four-course, buffet dinner in our barrel room with a selection of four wines and tableside wine service. 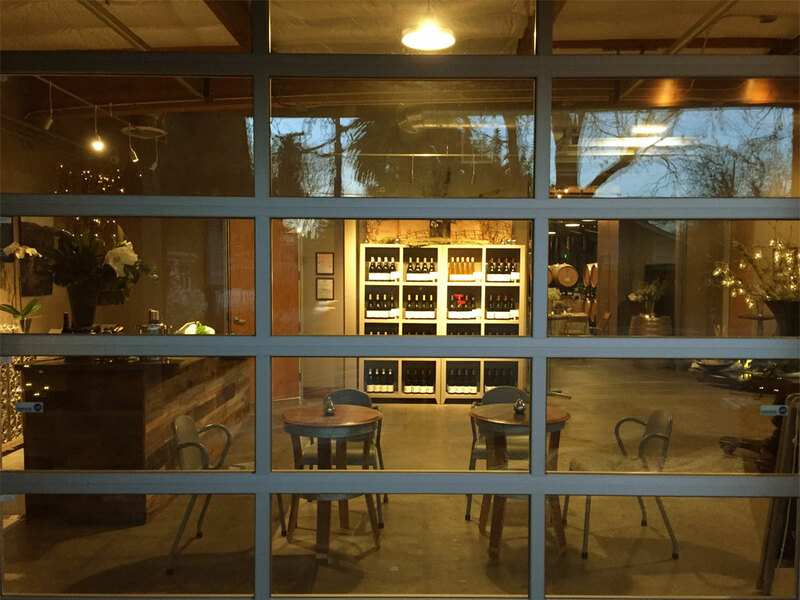 It begins with a wine reception in our tasting room including elegant charcuterie, an artisanal cheese board, fruit, breads, and crackers. The minimum charge is 10 guests for 3 hours. We accept the venue fee as a non-refundable deposit to hold your date with the finalized guest count and balance due five business days before the event. We may be able to adjust portions or menu to fit a specific budget and are happy to try to accommodate specific menu requests. Once you are ready to reserve, we will email you an event agreement. We are delighted to bring our winery to you, including fine stemware. Catering similar to an Hors d'Oeuvres Event is available as well, without warm items. The minimum charge is 25 guests for 2 hours. We accept the off-site fee as a non-refundable deposit to hold your date with the finalized guest count and balance due two business days before the event. Once you are ready to reserve, we will email you an event agreement. *Transportation may be waived for local or large events. All of the events above can be customized with special extras. Add a guided tasting among the barrels, or have us design custom-labeled bottles at no additional charge for the custom labels (just the normal cost of the wine) as gifts for your guests. Custom-labeled bottles are available separately from an event as well.